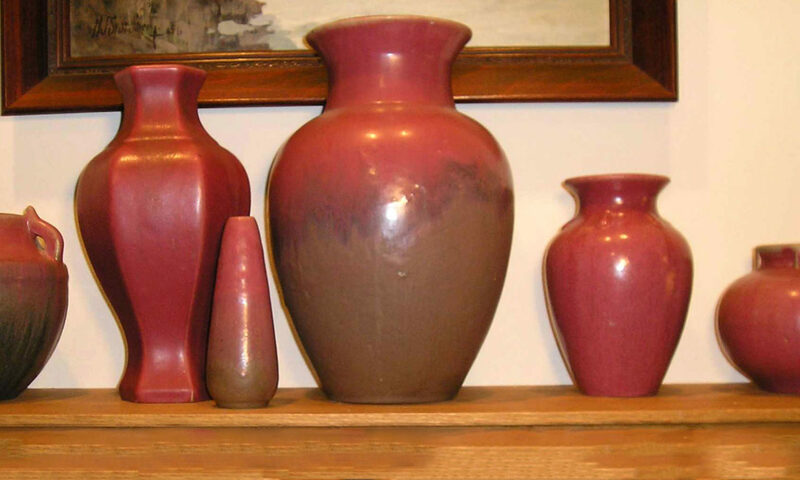 The Wisconsin Pottery Association (WPA) is a group of pottery collectors who have been coming together to promote knowledge and appreciation of art pottery for over 20 years. We hold regularly scheduled meetings that include informal presentations that explore pottery or a related collecting field. We also discuss our recent finds or mystery pieces. These presentations are open to the public. Is it part of our mission to work with state and local museums to help preserve the history and heritage of Wisconsin potteries through promotion of periodic exhibits as well as permanent displays of their pieces. We are an affiliate member of the State Historical Society of Wisconsin. We have also established networks with individual collectors and other collector associations throughout the state and nation. In addition to monthly meetings we host the Annual Show and Sale at the Alliant Energy Center (Madison, Wisc.) every August. Monthly meetings provide an opportunity to get together with friendly pottery enthusiasts and collectors. We share our recent finds and discuss our interests. At each meeting there is an interesting presentation. These are the topics for 2019. Becoming a member of the Wisconsin Pottery Association is a great way to connect with other collectors and enthusiasts of art pottery in the Midwest and across the country. As a member you will have access to our library of resources, receive news of special exhibits and events, be invited to all our monthly meetings and presentations. Membership costs $5 per member annually. To join, download and mail in our membership form, or simply attend our next meeting and join when you arrive.